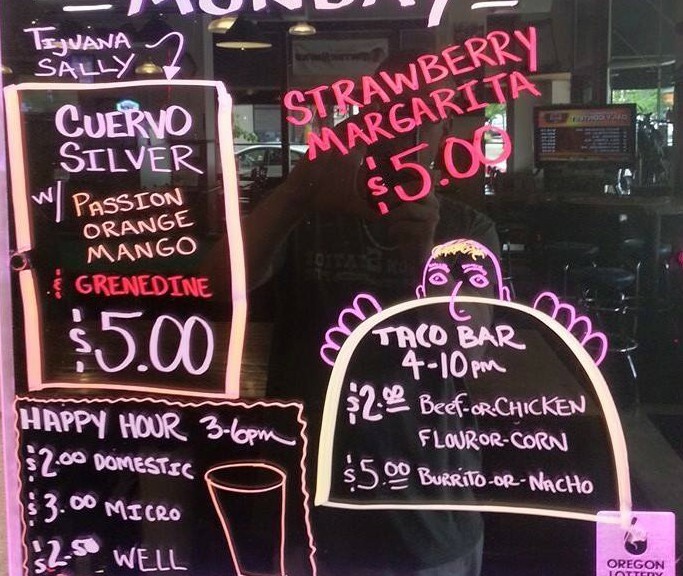 Specials for Monday May, 11th, 2015: Taco bar 4-10 pm. Strawberry Margaritas. 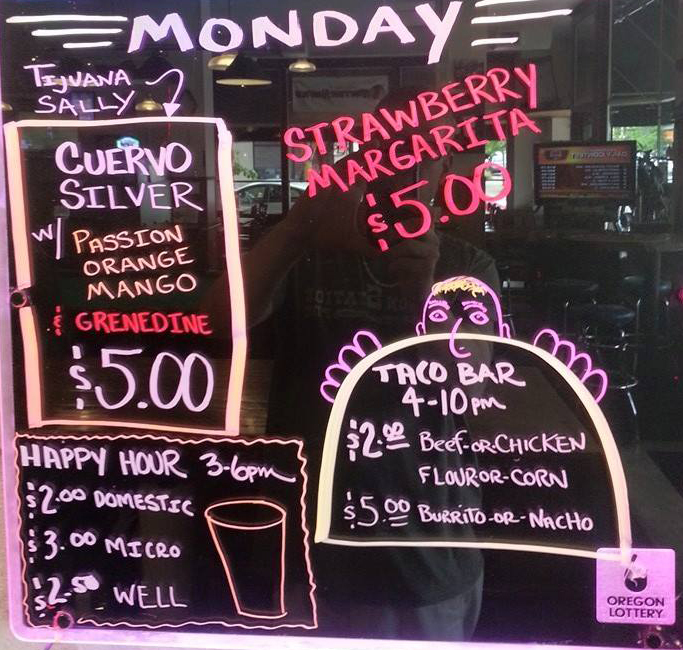 Cuervo Silver with Orange Passion Mango with Grenadine. Happy Hour 3-6PM!